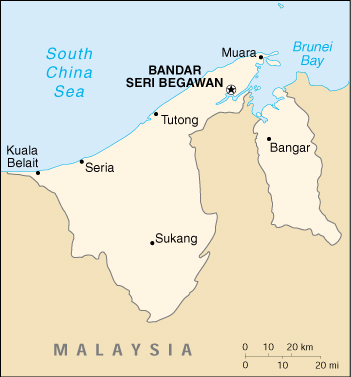 Brunei is a small Asian country located adjacent to Malaysia. Its capital is Bandar Seri Begawan. It has a population of just under 500,000 people, and has a tropical climate that is hot and humid.